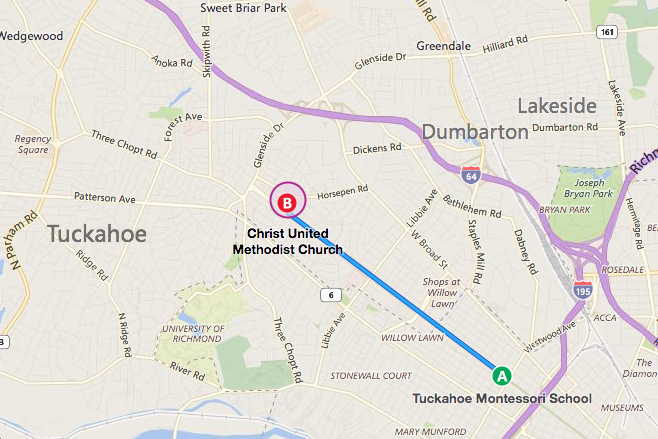 The next chapter in the history of Tuckahoe Montessori School is about to begin! 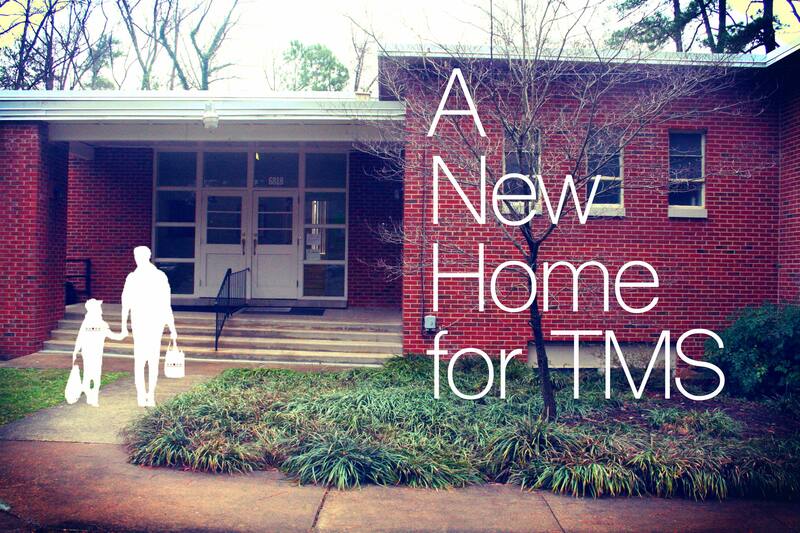 With the start of the 2017-18 school year, we will open our doors at 6818 West Grace Street, welcoming TMS students and their families to a beautiful, wooded, and centrally-located campus just two miles from our current location. Our new home will allow us to expand our Montessori and enrichment offerings while remaining in the heart of Richmond’s Near West End. As our students and their families arrive on the first day of school in September, they will be surrounded by trees, catch a glimpse of our lovely creek, and make their way in to their new, bright classrooms designed for an ideal Montessori experience. Our years at Westminster Presbyterian Church have been such happy ones, a time when we have expanded our offerings to include the Toddler, Elementary, and Lunch Bunch programs. Our new home on West Grace Street will meet the school’s growing infrastructure needs while providing our wonderful Montessori community with an inspiring environment where we can all continue to discover, learn, and grow together!